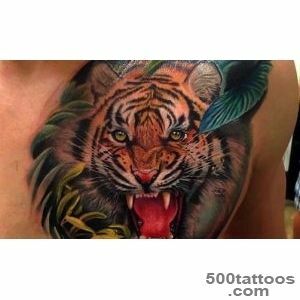 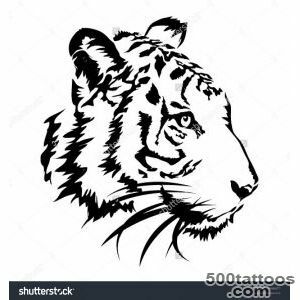 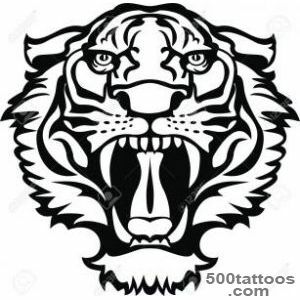 Now many people are attracted tiger tattoo, which is not surprising, as the tigers at all times symbolized the extraordinary strength, passion and ferocity. 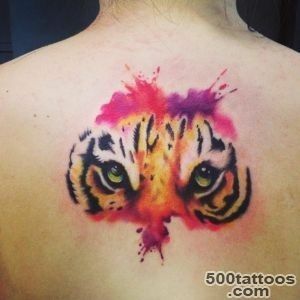 They are among the most beautiful predators, because they have an extraordinary and very rich color. 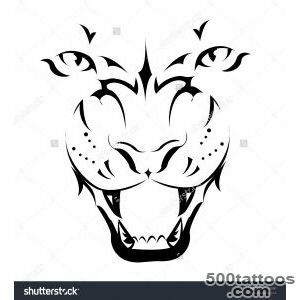 Some countries (particularly Asia ) are not of the opinion that,that the king of beasts is a powerful and no less beautiful lion. 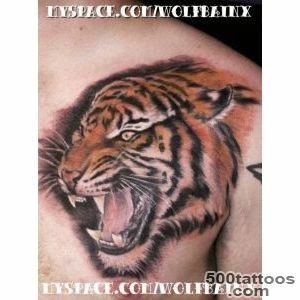 Moreover, they argue that it is the king of the jungle tiger, and positioning it as a symbol of power. 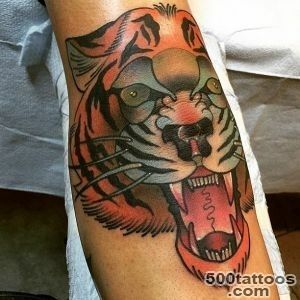 Many modern tattoos, tigers are depicted in a realistic ( familiar ) form,which makes it even more interesting and in some ways brings it to its natural habitat. 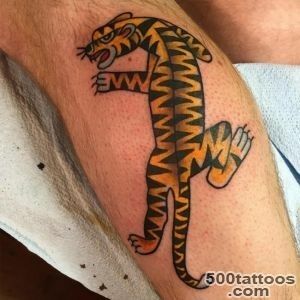 In many Asian civilizations, the tiger is a very important symbol. 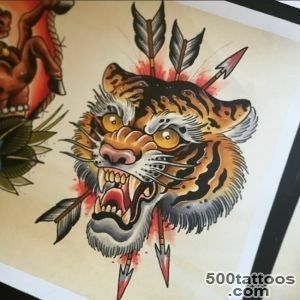 Many indigenous tattoo India, Burma, Thailand, Cambodia, China, Indonesia, Japan and Malaysia contain tiger image.Tiger used to be associated in the pictures with the power, force, brutality, great sensuality, beauty, rage, speed. 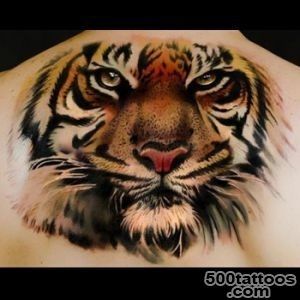 If you dream tiger appeared, then such a person predicted the awakening of a new force or a great passion. 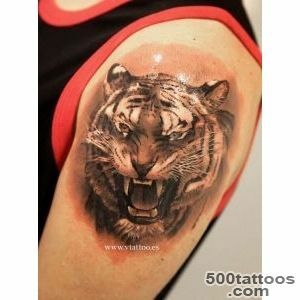 In Asia, the tiger symbolized strength and great power, in particular, the royal. 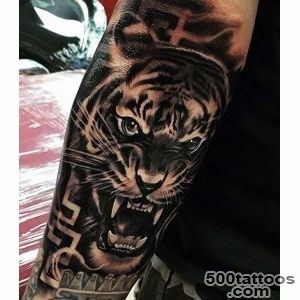 The tiger in Asia the same status among the beasts,like a lion in Europe or the Middle East. 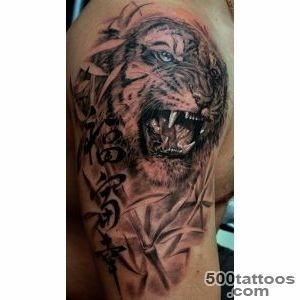 Koreans believed tiger king of the beasts. 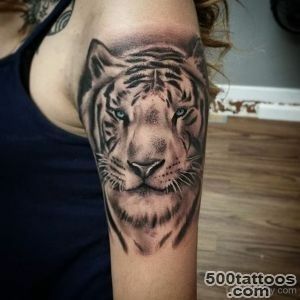 In Hinduism, Lord Shiva, when display their most destructive qualities represented in the clothes from the skin of a tiger and there is riding a tiger. 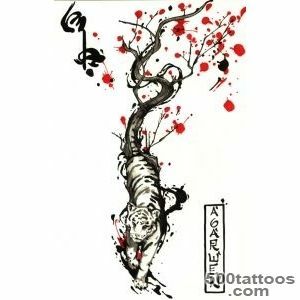 Tiger, often perceived as the personification of power and strength, besides it can carry destruction and violence.Tiger symbolizes in different circumstances of life or death, also attributed to him the beginning of a devastating and universal evil. 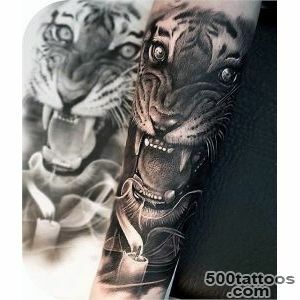 In China, to the present day image of a tiger is to frighten away evil spirits. 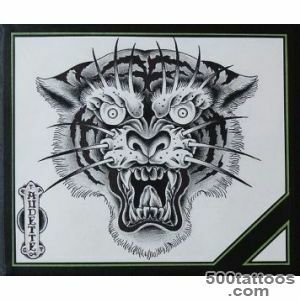 Before building this purpose set stone tigers that perform a protective function against the forces of evil.During the time of the Zhou Dynasty it was decided to place in the room of a pregnant drawing of a tiger, which was supposed to frighten evil spirits and protect pregnant women and unborn babies. 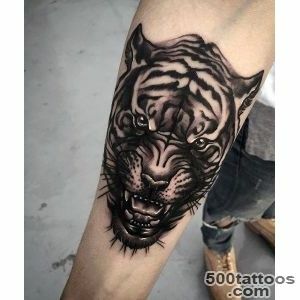 In some areas, there was a belief that the tiger attacked a man going to punish him by the gods.In Asian cultures can often find stories about people changing their appearance and becoming the Tigers, as it happens at obortney. 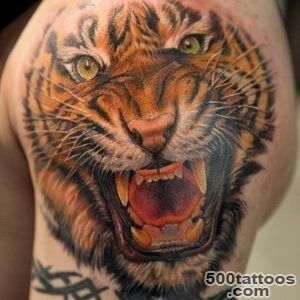 According to ancient tradition, Tibetans and some other ethnic Chinese descended from a tiger. 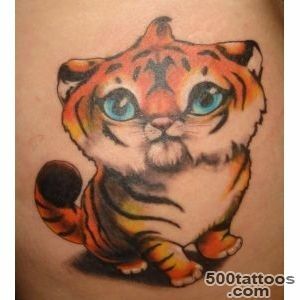 In this regard, these peoples there is a custom to give children in the day -age tiger figurines. 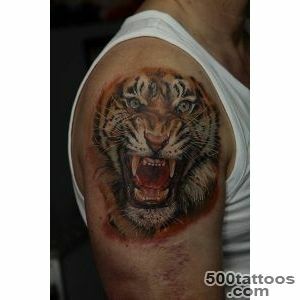 Tigers - cruel and savageThey are painted in the colors of sun and shade. 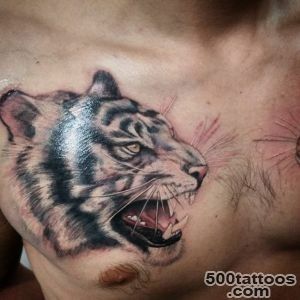 Tigers in the representation of people in Asia have expressed ferocity, passion and power. 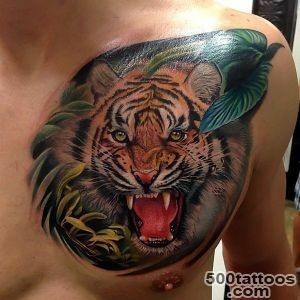 Tiger Tattoos often illustrate these very qualities. 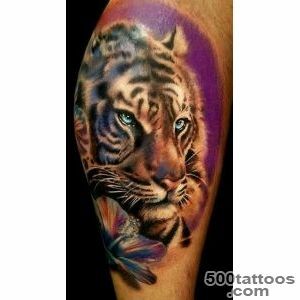 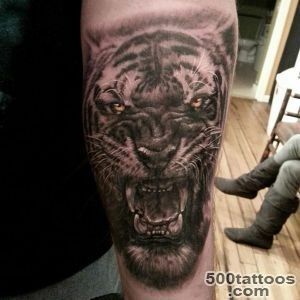 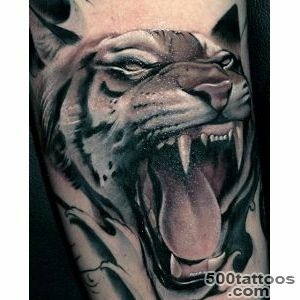 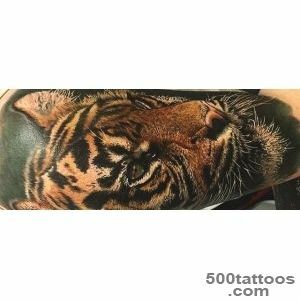 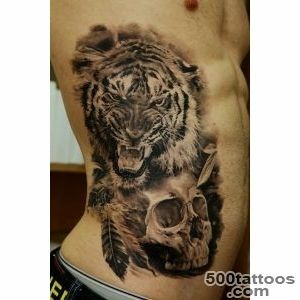 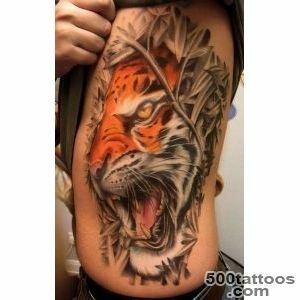 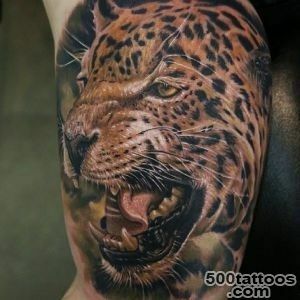 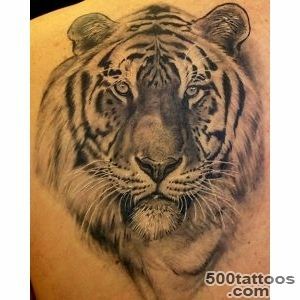 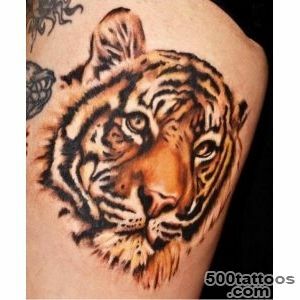 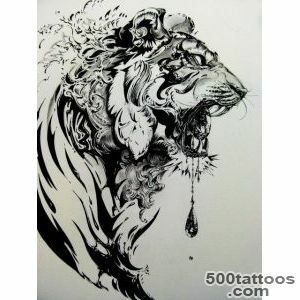 Very often, in many tattoo tiger depict very realistic. 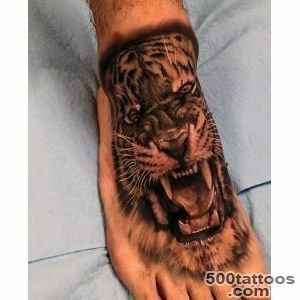 They live it just like it is in the wild for him.Tigers can be displayed in a variety of poses and positions - lying in the sun, creeping, sitting in the shade of trees, licking his paw. 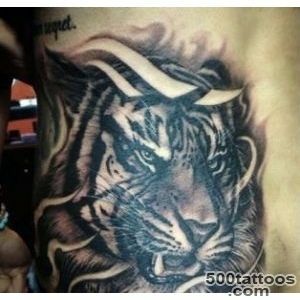 There are tattoos with more sophisticated plots involving tiger image. 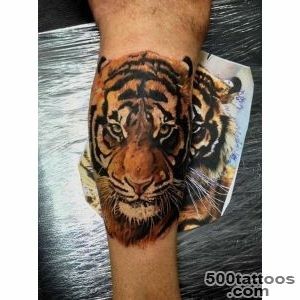 Very often in such tattoos artists resorted to emphatically stylized forms, the Tigers they have long and elongated contours. 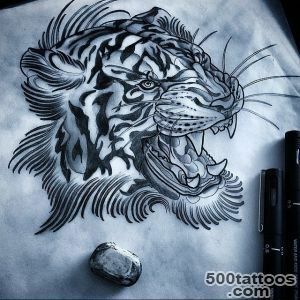 If you give free rein to imagination, you can come to a very stylish drawings, presenting the image as a tiger engraving. 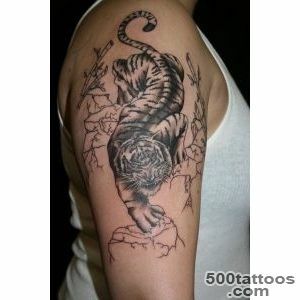 So you can make a drawing, folding tiger image of the branches of the tree of the dark color, or even burnt wood. 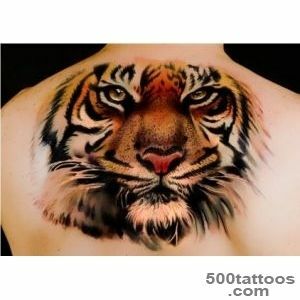 A good option would be to a tiger, as it disappears into the sunset or merging with the bright sun. 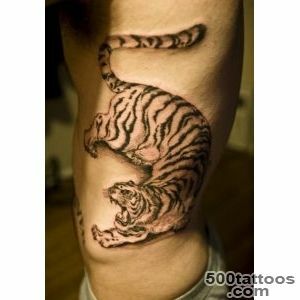 To pick up a tattoo can be a suitable image of the symbolic images of many Asian tiger. 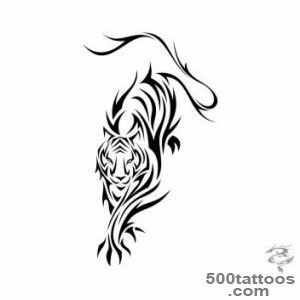 In Chinese astrology tiger - the third sign of the zodiac. 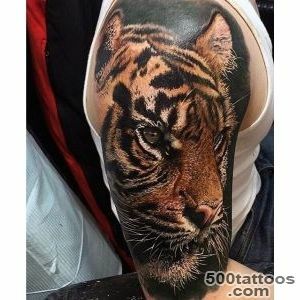 In this regard, there are a lot of tiger images, you can choose among the canonical image, there is also a large number of tattoos with a tiger.During the celebration of the New Year on the Chinese calendar appears on the streets for a variety of traditional Chinese culture the tiger images. 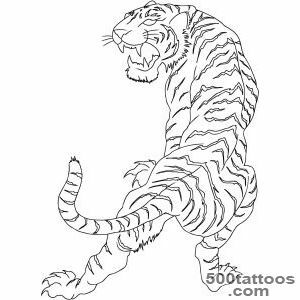 Many of these drawings could be the basis for a tattoo. 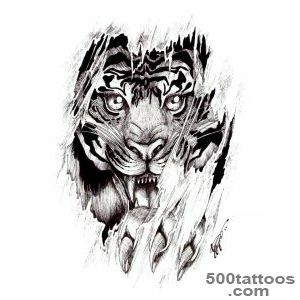 In these images the tiger is a wild expression, big eyes, round head, bared teeth and gaping mouth.These paintings are very colorful and monochromatic, but most often portrayed tigers in a bright red color. 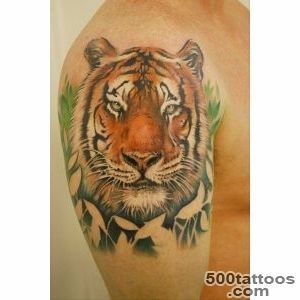 Another option tattoo tiger tattoo can be based on classical Indian images of the gods, which in some cases moved only tigers. 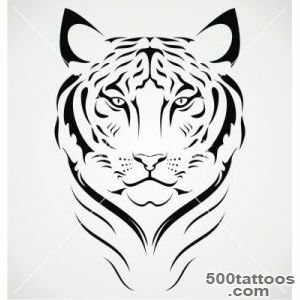 Often you can find a tiger image along with the image of the dragon,which are arranged relative to each other in a well-known symbol of Yin Yang. 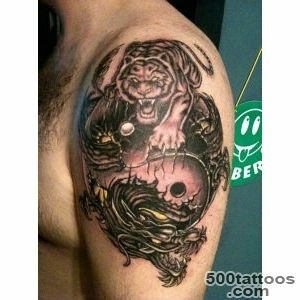 These two creatures symbolize power, and being in a single image, represent the power of heaven and earth.